Bishop’s University Singers by Request! 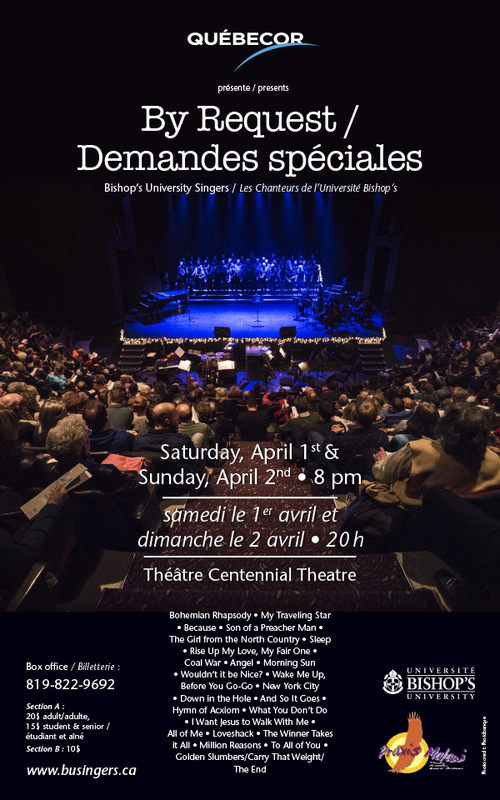 For decades now, the Bishop’s University Singers have benefitted from the loyal patronage of students, staff, faculty and members of the greater Sherbrooke community. 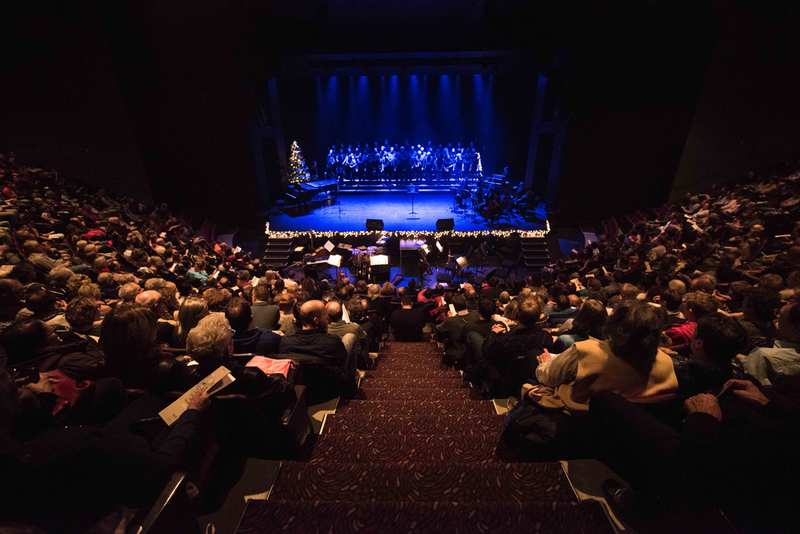 Whether performing classical repertoire with l’Orchestre Symphonique de Sherbrooke, jazz with Groovin’ Brass, or Gospel and other forms of popular music with our stellar band of supporting musicians, you’ve cheered on generations of its soloists and choristers. This Spring, in the spirit of repaying at least some of that debt, we want to do a show designed especially for you – actually by you! Do you have a favorite song from a past performance, or something you’ve always thought would be great for us to do? Just fill out the form below! Our goal is to construct a show consisting entirely of your requests. We can’t promise to do every song suggested (ideas are already rolling in). But we’ll try our best to honour your support with a performance of songs you love. Of course, rehearsals start as soon as classes recommence in January. So get us your song ideas by January 15th. We can’t wait to find out what you have in mind!